‘Staff and Board Members Leave Brooklyn Rail En Masse‘ read the headline from Hyperallergic, an arts blog that I regularly read. It caught my eye because I subscribe to Brooklyn Rail. It was happenstance (I got it concurrent with a subscription to Poetry; I’m always on the look out for deals on periodical subscriptions) that I did, but I enjoy reading it. It’s rather like reading The New Yorker when you don’t live in New York. 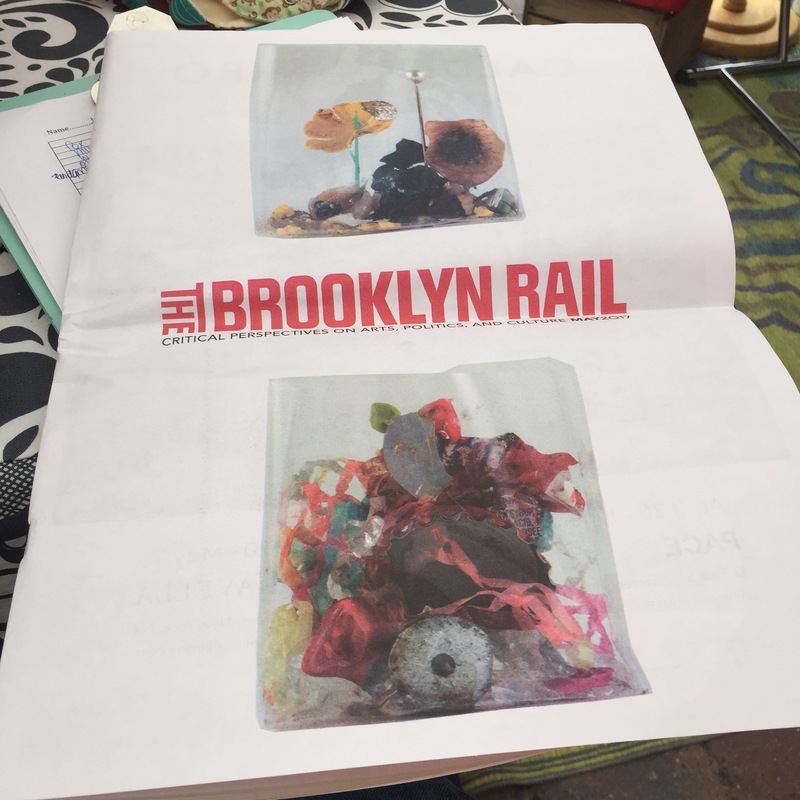 There’s a lot to get from it, regardless of personal geography, but at it’s heart, it is a regional publication (even more true of Brooklyn Rail than its glossier cousin). The Hyperallergic article doesn’t give any insight into why everyone is leaving (because no one involved will say), but it feels sad. Journalists are already such a precarious damn place. Arts journalists, more so. Does your local paper have a full time arts reporter? Or book reviewer? Much less an arts editor? Probably not. For this revolt of thine methinks is like/Another fall of man.